Hello dear crafting friends: I've been busy with my grandchildren almost every day, we go out to the pool, the beaches in Chicago, bowling, movies, water park, etc. it's fun but that cuts my card making time a bit, so most times, I start the card and then have to finish it in the next day or two, but we don't mind at all, having our grandkids around, from the oldest to the youngest, is a thrill and we love it. 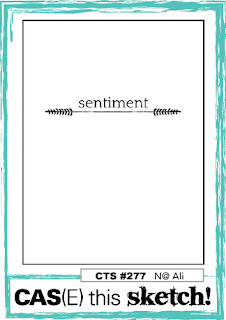 Anywho, here is this little card I just finished and I will enter it at a few challenges at the end of this post. 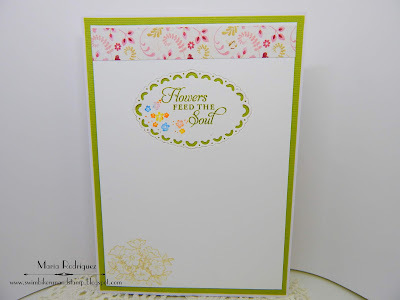 This image is from an old Flourishes set called "From the Garden", I stamped it on watercolor paper with Versafine black ink and colored it with SU markers and a bit of Sakura Koi watercolors, the pattern paper is from a retired line from Lili of the Valley, the sentiment is from the set. 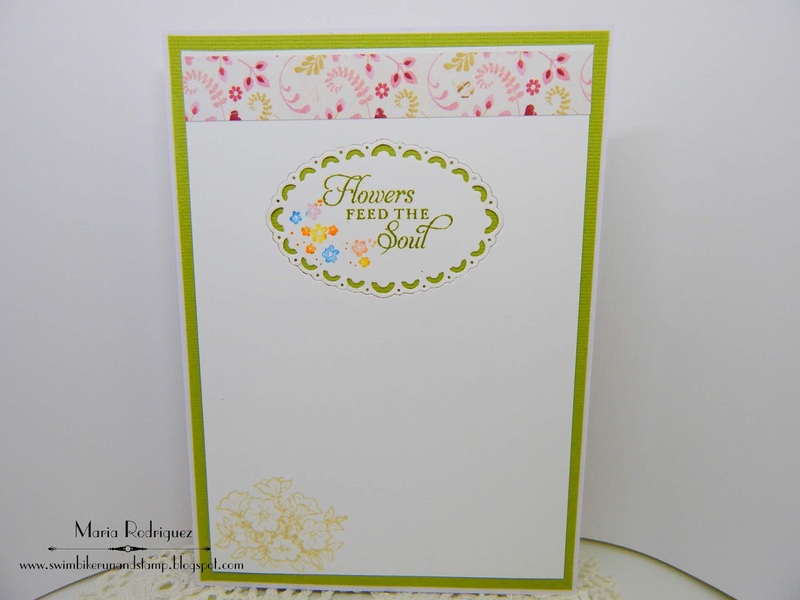 Labels: Flourishes "from the garden"
Hello crafting friends: My teammates and I at SHOPPING OUR STASH have a new challenge for you to play with that is just in time for the fast approaching 4th. of July celebrations. 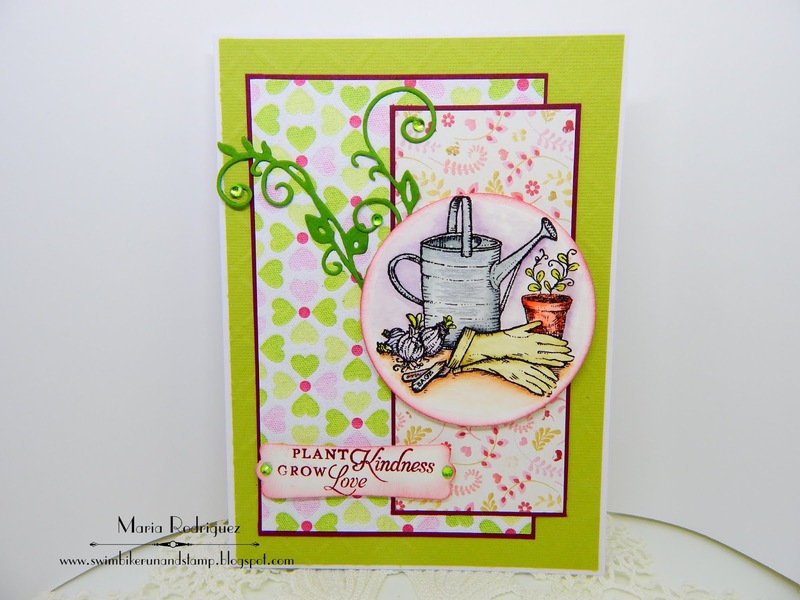 Here is my card to inspire you join us in the gallery. 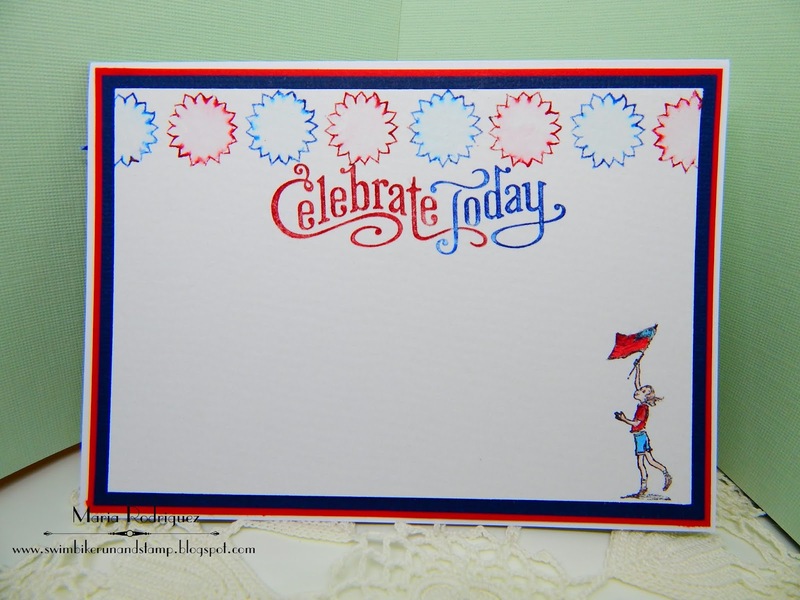 This sweet image is from a 2009 Flourishes stamp set called "Patriotism on Parade", I love all the images on this set but this one is my favorite. I stamped it on watercolor paper with Versafine black ink and clear heat embossed it then, colored it with SU markers, the pattern paper is from a small stash of patriotic papers, the ribbon was a left over piece that I died with some thread, the flower is a sticker. 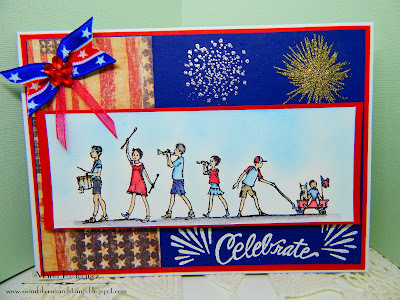 The fireworks are from a set by The Ton called PYROTECHNICS which I heat embossed with glitter embossing powder and the white heat embossed sentiment from a Power Poppy set called "Marcella's Mixed Tape Vol. 1"
The border is from a retired SU set called "Bordering Blooms", the little girl waving the Flag is from the Patriotism on Parade set. 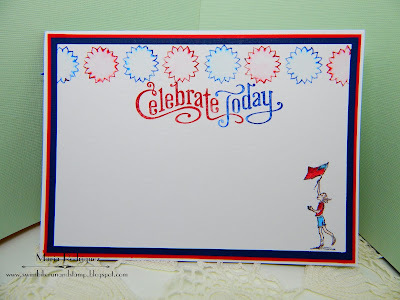 Cute and Crafty Challenge #3 "Birthday"
Crafty Cardmakers Challenge #214 "Embossing Wet or Dry"
Dragonfly Journeys Challenge #121 "Stars and Stripes"
A Gem of a Challenge Challenge #222 "Red, White and Blue"
I hope you get inspired to play along with us at SHOPPING OUR STASH, visit the blog for more inspiration from my fabulously creative teammates. 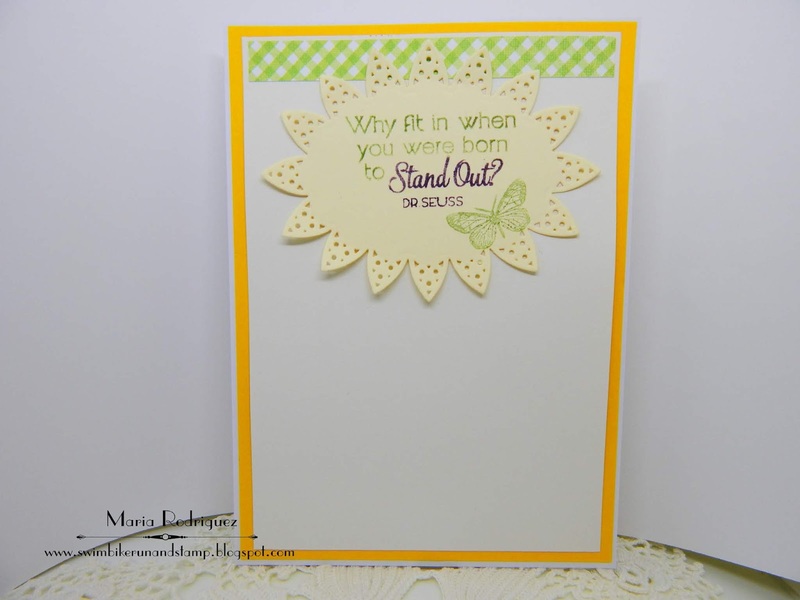 Hello everyone: I have a very simple and easy card to share today, I was able to finish it late yesterday, but I was too tired to write the blog post and upload it. 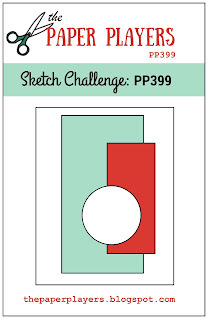 But anywho, here it is, I will link it up to a few challenges at the end of this post. 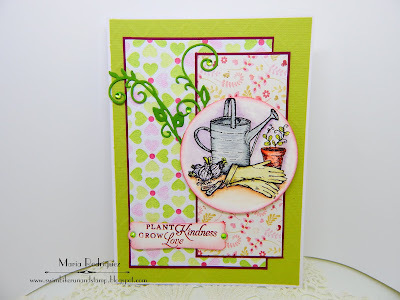 These cute succulent images are from one of my favorite stamp sets from Power Poppy called SASSY SUCCULENTS, love all of these little and adorable plants. 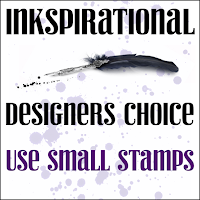 I stamped the images on watercolor paper with Stampin Up! markers by applying the ink directly to the stamp then, with a small wet brush, I just pulled the color a bit, I didn't want a black outline. I stamped the "ledge" for this little pots to sit on with the retired SU set called "Bordering Details"
The sentiment is from the same Power Poppy set and I found it in my "change my mind" sentiment box, you know how it is, sometimes you think a sentiment is going to work and then, well, you change your mind, I have a few of these saved up. 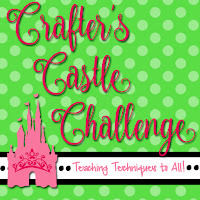 Crafting with Friends Challenge #70 "Anything Goes"